Wondering what to do with your pets while you’re on vacation? It can definitely be stressful to think about, especially if you’ve never done it before. Finding the right care and knowing your best friend is safe and happy are likely your top concerns. So, to give you some peace of mind, here are some answers to common vacation and travel questions responsible pet parents typically ask themselves before leaving town. All pets are pretty social and love spending time with their people, but cats are usually fine being left alone for short periods of time. If you’re spending the night away from home or going away for the weekend, your little furballs should be comfortable getting the entire house to themselves. However, before you leave, be sure to completely clean the litter box (or even get a second one) and cover anything that your kitties may be tempted to scratch. For any pets, it’s also smart to stash away electrical cords and cleaning supplies when you are going to be away, even if it’s only for a few minutes. To keep your feline friends happy, you will also want to have a good way of making sure they’re fed. Pick up an automatic feeding bowl, so your cats can chow down without the help of humans. If you’re feeling extra anxious about leaving your cat alone for any length of time, you can also check out​ pet cameras that will let you keep an eye on your furkids and even let them hear your voice from afar. Okay, so cats should be good on their own, but dogs have different needs than cats, and those needs determine the length of time pups can be left on their own. Potty breaks are a prime factor, but dogs also tend to be more dependent on human interaction to keep them happy. So, not only could leaving your dog alone for more than a few hours stress out his bladder, but it could also cause emotional stress. Your best option for getting reliable, comforting care for your dog is to find a dog sitter you can trust. Before you book a sitter, conduct a thorough interview and consider doing a trial run with your dog. You want to be absolutely sure that your pet’s needs are being met and that the sitter is a good match for your best friend. If you can’t find a sitter, you can also board your dog with a local facility. Boarding can be a bit stressful for pups, though, so keep these dog boarding safety tips in mind before you drop off your doggo. Now you have a better idea of how to get care for your pet while you are away, but keeping your pals safe doesn’t stop with hiring the right sitter or seeing that their basic needs are met. Even with the best and most trustworthy sitter or boarding facility, escapes can happen. Your cat might slip out of a broken window after a storm or your dog could bolt past the front door. With pets, you never can tell how they will react to you being away. So, to keep them safe, make sure they have a collar with ID tags before you leave. 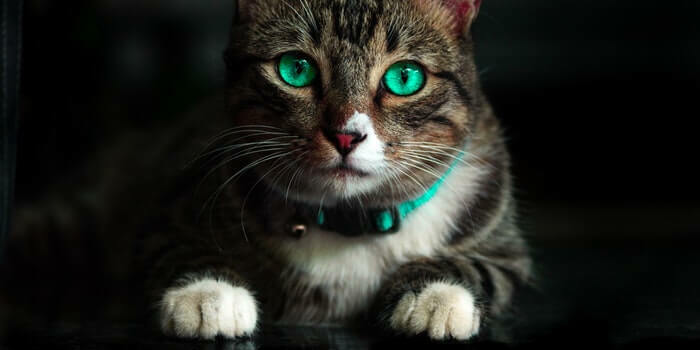 Some people are hesitant to put collars on cats due to safety concerns, but choosing a quality cat collar can calm these worries. If your pet does escape, having a collar and tags can increase the chances of them being returned. However, if you want to boost that chance even more, get your pet micro chipped. It’s a simple and safe step that can make it much easier for vets and local shelters to reunite you. Even with these tips, you still may get some sulking from your pet if you decide to leave town without them. However, at least now you can keep them happy and safe so you can enjoy your trip and enjoy some snuggles when you get home.